Organizers of an international reggae festival in Spain have canceled a concert by the Jewish American singer Matisyahu after he declined to state his position regarding a Palestinian state. 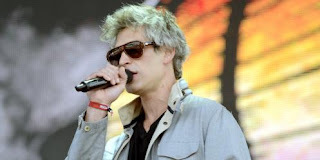 A local branch of the pro-Palestinian Boycott, Divestment and Sanctions Movement had campaigned against the concert in the town of Benicassim, accusing Matisyahu of being anti-Palestinian. The World Jewish Congress on Sunday slammed the cancellation as anti-Semitic and urged Spanish authorities to take action. Concert organizers declined to give further comment, referring only to their statements on Facebook. In the statements, the organizers said the festival has always supported the Palestinian people's rights and denied they had cowed to the pro-Palestinian group. They said they regretted Matisyahu wouldn't be playing. “We did not say NO to Matisyahu because he has Hebrew roots or as a Zionist, but we just simply considered inappropriate organizing something that would certainly generate a conflict,'' one statement said.